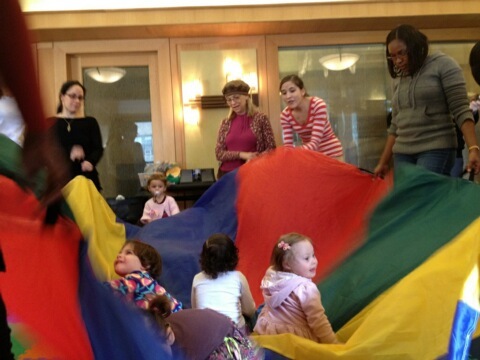 "Laura's classes feel like a VIP event in Manhattan. The small intimate nature and neighborhood focus of the classes has really yeilded a bond between many of the mothers and what feels like a support community. The kids all have the best time and I've noticed how my son has benefited from the music, her happy energy, and the social interaction with other cutie kids. Laura's music (Hebrew and English music with Sign Language integrated into both) is original and catchy and her voice is as sweet as the songs themself! As a mother herself, she has great consideration for the pocketbooks of mothers trying to entertain and enrich their kids without spending a fortune every time. She is kind, honest and genuine. 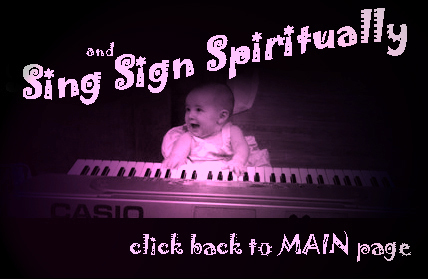 All together, it makes her Baby Grand Orchestra/Sign & Sign Spiritually class a great NY find. 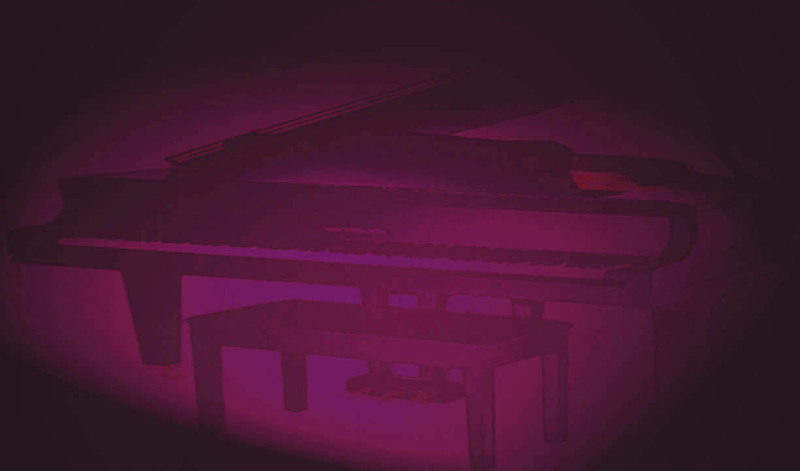 "Baby Grand Orchestra is a phenominal experience. With the original songs, classic childhood favorites, positive energy, spirituality, music, dancing, singing, engagement, it was a very memorable and enjoyable experience. There was lots of laughter and everyone seemed to have a good time. The instruments and props were so creative and unique. The experience was educational as well, and made cleaning up each activity fun and interactive for the kids. Afterwards, I found myself still humming some of the great songs, and smiling to myself. "Laura's class is the highlight of my week! My baby and I enjoy it so much and it is wonderful to meet other moms in the neighborhood. Laura is a very charismatic and engaging teacher and her classes include a great blend of Jewish and secular music. She always has something new and innovative! " "Laura's contagious smile and enthusiasm had the kids, ranging from 1-6, singing and interacting with her. She added a special, happy dimension to the birthday party, which all the kids and adults appreciated"
"There is singing, instruments, music and play - Laura shows great enthusiasm in the class! 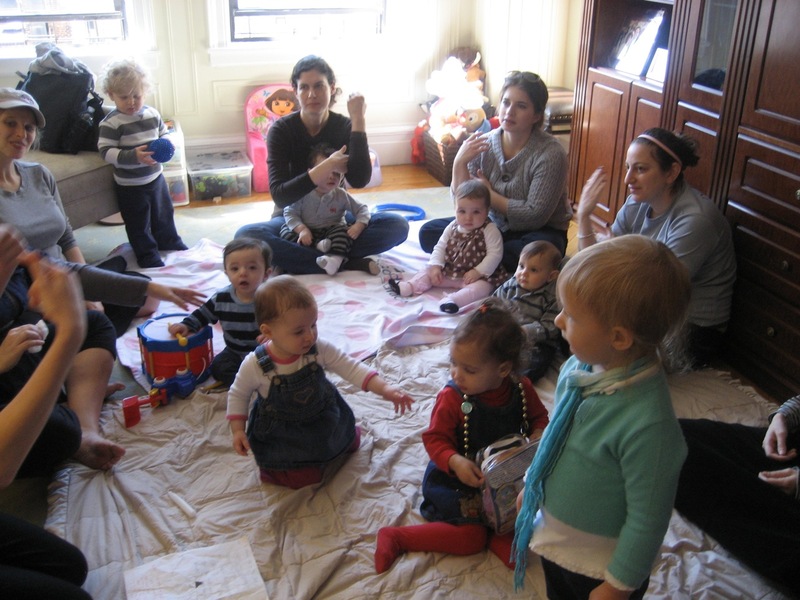 Avi just loves it and the repetition of the songs week after week is a great way to learn!" Laura's events are always wonderful. A master teacher, she is able to integrate music, drama, and sign language into programs to suit any age. Her enthusiasm and sweetness shines through in all that she does! "Laura is so wonderful with children. Her talents are so diversified with music, sign language, and religion. I would highly recommend her to all mothers who are looking for a fun, interactive, educational, and creative class." I really enjoyed the class. Its perfect. I've had my ups and downs as a new momma-you give me something to look forward to on Friday. It was such a treat for me to be part of the experience. Your energy and talents are amazing. The kids were so captivated and entertained! "Thank you for your help making Yoseph's birthday party so much fun!" "Class was wonderful today as always - we love it!" The Friday class is so special and kicks off our whole weekend. I LOVE it!! accommodating-it is a wonderful quality!" "We look forward to Sing & Sign every week and think Laura is amazing in the way she connects with our daughter and makes everyone feel comfortable right away. The music is great and the songs teach great lessons about exploring, sharing and being polite in a totally fun and interactive way. Our daughter loves the Baby Grand Orchestra and sings the tunes and uses the signs throughout the week. My parents love seeing how much she's learned and people are always impressed with how much she is able to communicate through signing and now also singing along to the fun songs. Laura has made a wonderful impact on our lives and our daughter's learning. Thank you." "You have a great positive attitude and the influence is left with the listener. Your words are always so inviting and up beat. No wonder your program is doing so well! " 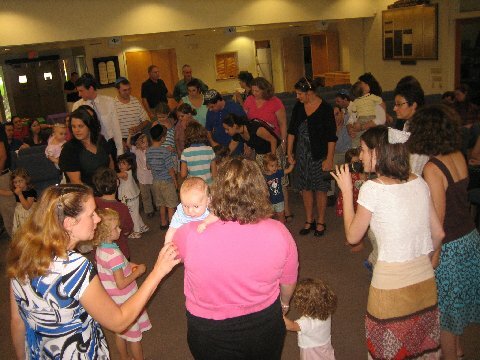 Shabbat 4 Tots beautifully integrates a repertoire of charming children's signs and songs with a genuine appreciation and celebration of the inspiring features of Shabbat. 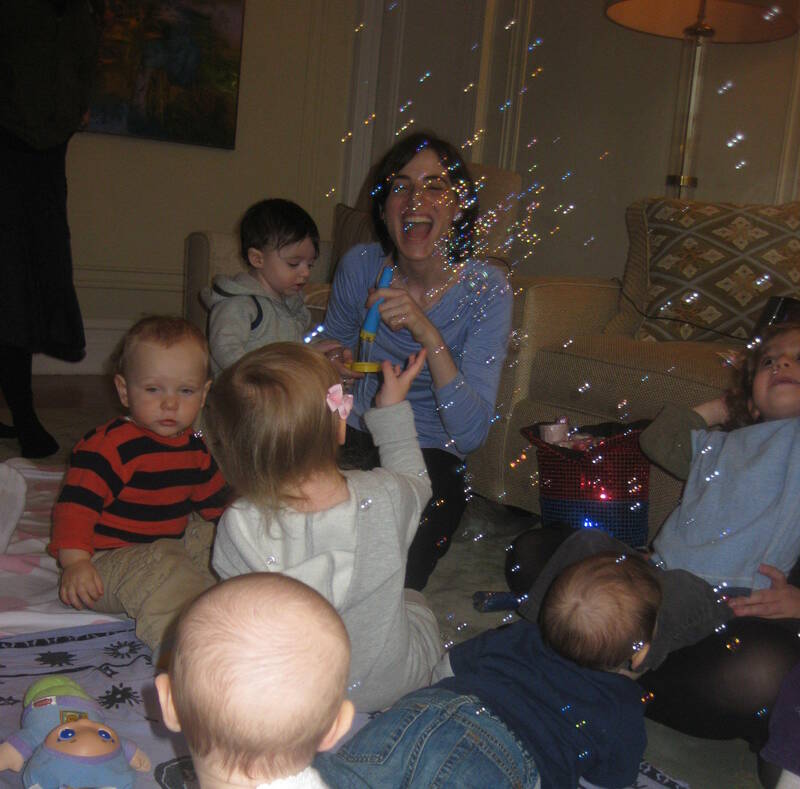 Laura and the Chazzan unite to usher in a stunning array of songs, dances, and Brachot with instruments, toys, bubbles, parachutes, and even Kiddush and Challah. This is not a class to miss! 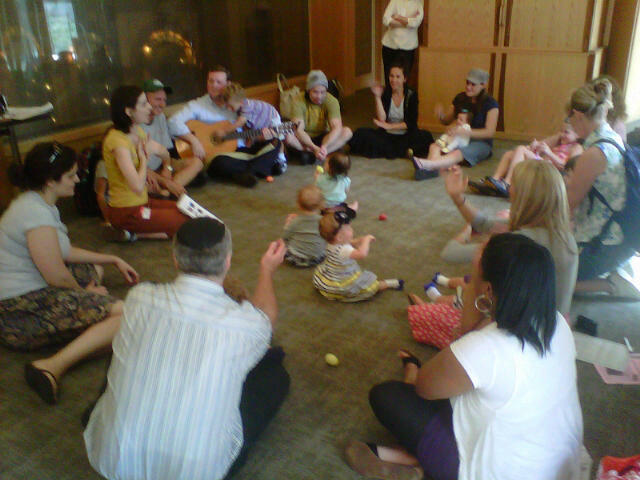 Laura brings smiles, memories and brilliant songs and learning tools to young and old alike. 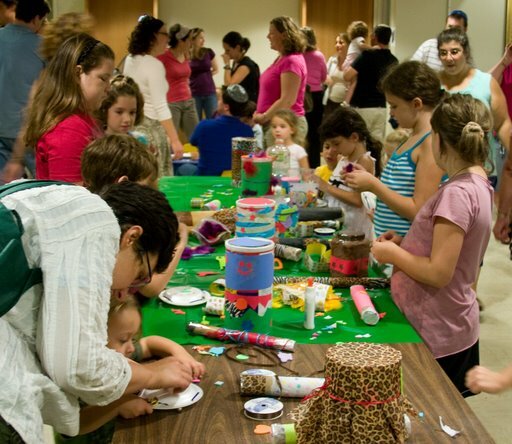 Shabbat for Tots is an exciting, meaningful and super fun class for adults and children alike! 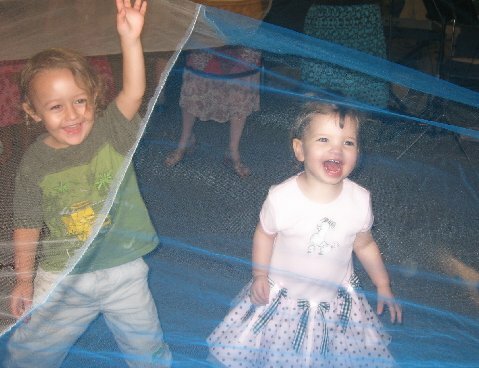 My children look forward to this "Shabbat Party" each week for the dancing and singing and as a mom, I love that this class teaches my children an awareness that Shabbat has arrived and the day is special! Laura and Chaim are a wonderful team with their original and traditional songs sung both to recorded and live music. Without a doubt, there is not a better class in New York City! 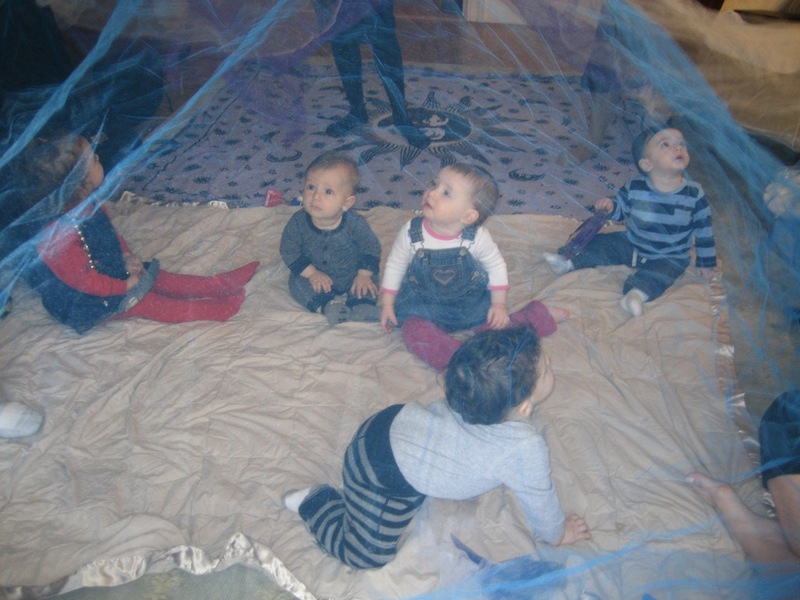 "Your class was educational, entertaining and inspiring for Jewish babies and preschoolers. My six month old grandaughter, Claire was happy in and engaged in your class. Combining the universal language of music, sign language and an introduction to Torah topics was a joyful addition to Claire's development. Class also offers a place to meet new friends for her."